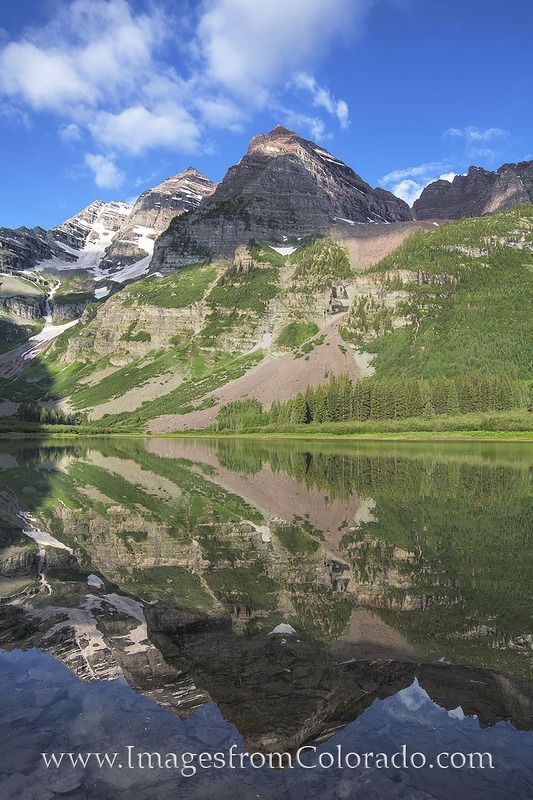 From Crater Lake, the grand Maroon Bells rise steeply into the clear blue Colorado sky. This lake is only around 2.3 miles from Maroon Lake, and a short drive from Aspen. The landscapes and scenery along the way are breathtaking. And on this morning, I had the trail and mountains all to myself – and unexpected treat. Photo © copyright by Rob Greebon.